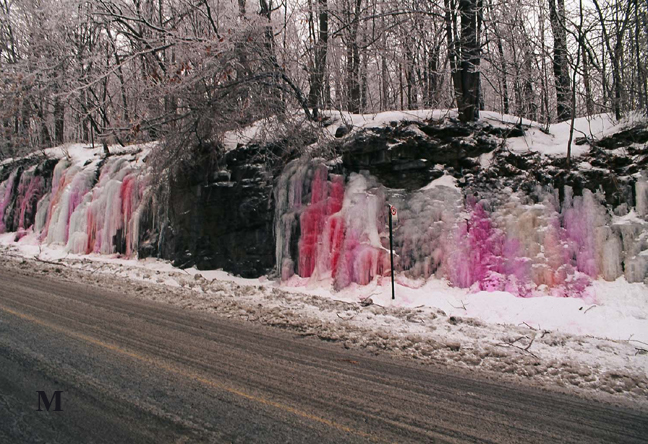 Colored icicles, Cedar Ave. South of Park du Mont Royal- A cheerful and playful scenery recurring each year during the very cold months of Jan. and Feb. Very nice. Is the coloring natural? Yes, it is nice indeed! It is not completely natural though 🙂 Paint is added to the water at the source and then as the temperature changes and the icicles form different shapes, they change in hue and density.